Minnetonka, famously associated with the largest lake in Hennepin County, Lake Minnetonka, rests its boundaries on the eastern shores of the lake’s Gray’s Bay, just 15 miles west of downtown Minneapolis. Known for preserving their natural resources, Minnetonka residents are treated to beautiful tree canopy covered roadways, larger plots of residential land, majestic mature trees and a wide variety of wildlife, such as deer, fox, owls, great blue heron and so much more. Living in Minnetonka, there’s a wide variety of fantastic schools to choose from. The eastern side of the city is in the Hopkins School District and the North is in the Wayzata School District, while the largerest portion of the city is in the Minnetonka School District. All these school districts are highly regarded in Minnesota for academics, graduation rates and an exciting competitive sports rivalry. 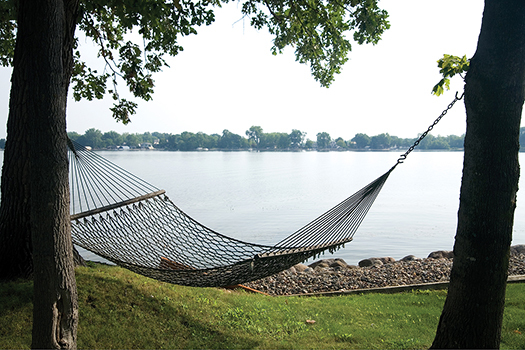 If sailing, boating, fishing or water sports are your passion, then Minnetonka is perfect for you! No matter where you live in the city, you are no further than a quick car ride to the many public boat launches and beaches on Lake Minnetonka. Best of all, when you get off the lake and want to dine out or indulge in some shopping, there are incredible entertainment opportunities in charming communities such as Wayzata and Excelsior. Of course, downtown Minneapolis is a quick twenty minute drive and the capital, St Paul, is ten minutes further east, both offering endless nightlife, entertainment, arts and culture abound in the Twin Cities. Modern Updates And Great Floor Plan! Large Completely Fenced In Yard, With Power Gate! If You're A Dog Lover Or Have Young Children This Is A Perfect Yard. Corner Lot Close To Everything. Adorable, Well Maintained Townhouse In A Wonderful Development. End Unit With Walkout Lower Level To Private Patio. New Carpet & Floors Throughout! Low Maintenance Living In A Fabulous Location.